The high standards of a Dulux Select decorator's work, combined with the proven quality of Dulux Products, enables Dulux Paints to underwrite and guarantee that painting and decorating work. This guarantee covers work carried out on domestic/residential dwelling places where AkzoNobel brand portfolio Trade products are used. Dulux Select decorators are skilled professionals whose abilities and skill - from the initial preparatory work to the final coat offer a high standard. And for peace of mind you can be certain that their work will comply with any of the relevant regulations, such as those laid down by the Health & Safety Executive. You can trust a Dulux Select decorator to use only good quality materials, which are appropriate for the job. A Dulux Select decorator will not skimp or take short cuts to keep his costs down. Remember - so that your Dulux Select decorator can provide you with a 24 month workmanship guarantee make sure that you specify AkzoNobel brand portfolio Trade Products. All quotes or estimates will be given in writing, and will include a detailed specification of the work to be done. There will be no hidden costs - prices will be fully inclusive of VAT (if applicable), material, labour and clearing away of debris. A Dulux Select decorator will quote you a fair and competitive price for the job. If you are comparing quotes make sure you compare like with like. Beware - a "better" price from another decorator may be at the expense of vital preparatory work, or may mean using lower quality materials, which could affect the final results and the durability of the work. Dulux Select decorators will be courteous and honest in all their dealings with you. They will give you only the best advice on any aspect of painting or decorating. If there are any shortcomings in your specification that you may not be aware of, your Dulux Select decorator will draw these to your attention. 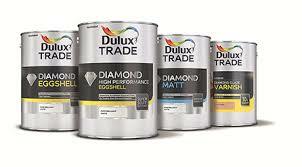 Please note: in the unlikely event of the Dulux Select decorator's advice being declined or if he/she is asked to carry out work" in a way which, in their professional judgement, they believe will lead to a sub-standard result a Disclaimer Form will have to be completed by both parties taking the job outside the scope of the guarantee. All Dulux Select decorators carry adequate insurance cover, including public liability - so you won't have any extra worries if the unforeseen happens. Rest assured - a Dulux Select decorator won't leave your house a mess! All furniture, fixtures and surfaces not to be painted will be adequately protected. You house will be left clean and tidy, and any debris will be removed. Trade. This Guarantee does not affect a homeowner’s statutory rights. will make alternative arrangements by appointing another scheme member within the liability of the guarantee to complete the work. Before making a claim under the guarantee the homeowner must first try to resolve the matter with the Dulux Select Decorator scheme member. 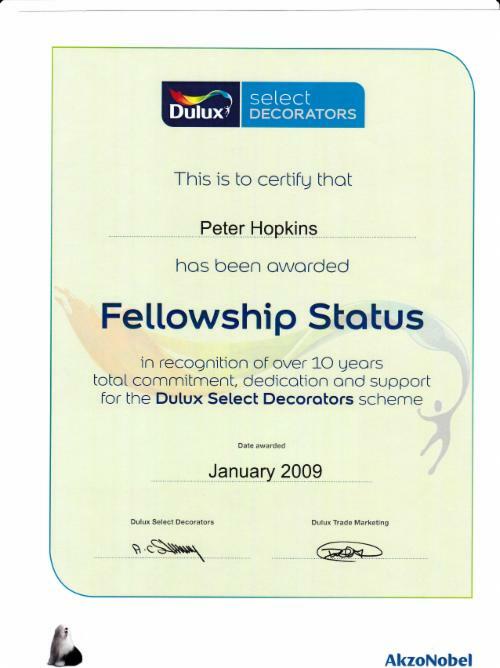 for the work carried out by the Dulux Select Decorator scheme member unless otherwise agreed. by the Terms and Conditions of this Guarantee.